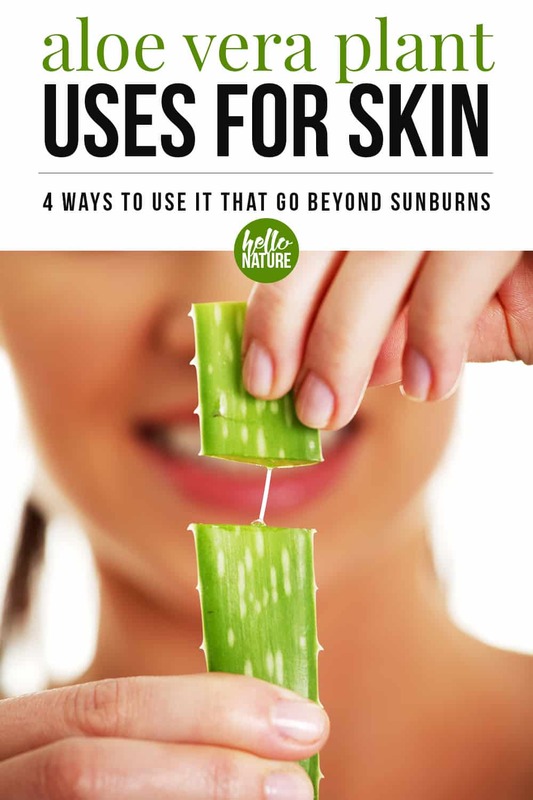 Did you know that there are many aloe vera plant uses for skin that go beyond sunburn relief? 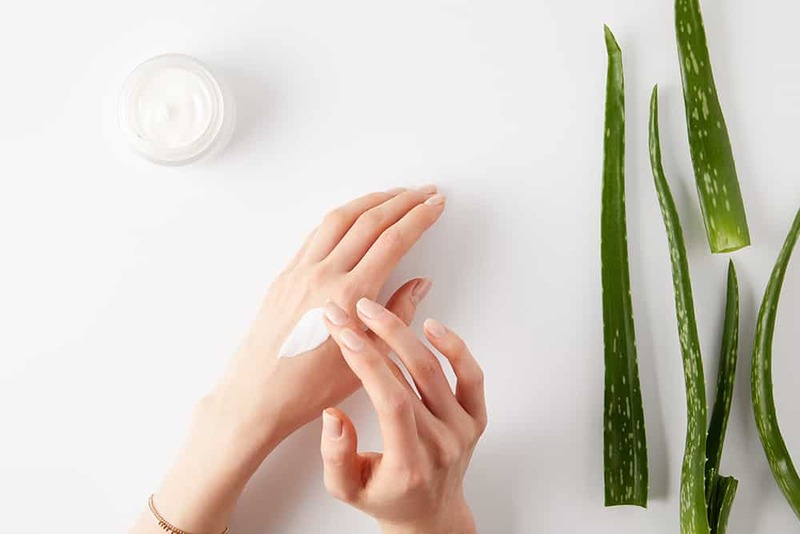 Learn how amazing aloe vera for skin care can be with this mini guide on the aloe vera plant uses and benefits. 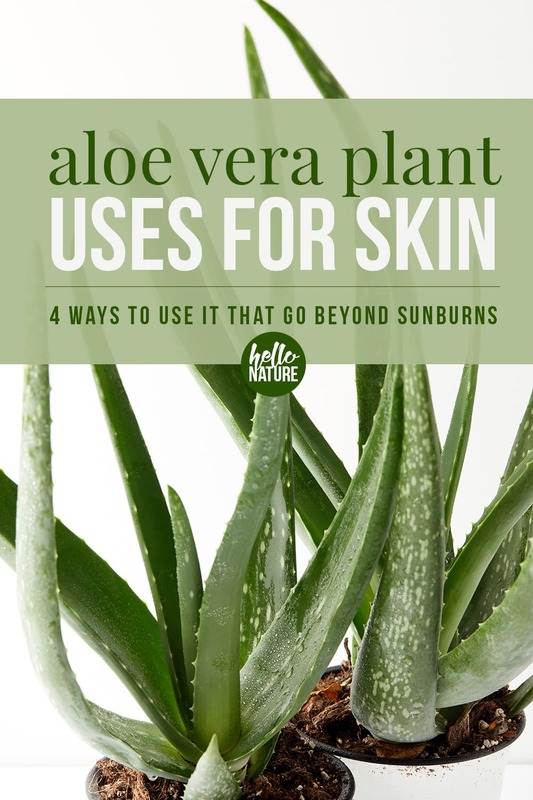 The aloe vera plant is a miracle worker, especially when it comes to sunburns. But did you know that the gel inside of the leaves of aloe plants can heal just about anything? There are so many aloe vera plant uses for skin. Here are some of my favorite ways to enjoy the aloe vera plant benefits. I suggest buying aloe vera on Amazon. We regularly buy it in bulk and use it for skin care and other homemade beauty products. It’s a much better deal on Amazon compared to buying it local for us. It’s important to remove makeup each night before you go to sleep, but it’s not always convenient. Especially when you’re using cleansers or makeup removing pads that can be harsh on your skin. This is a where aloe vera and skin care pair perfectly together. Especially if you have sensitive skin. Wondering how to soothe razor burn? Aloe vera to the rescue again. And if you’re looking for other natural ways to soothe burns, learn how to soothe burns with essential oils. I always recommend bringing aloe vera with you (even just a small container worth) on hikes, camping trips, beach days, or other outdoor adventures. You never know when someone might get a minor skin wound! If you’re in need of natural bug bite remedies, seek comfort in the aloe vera plant. Not only can aloe vera help soothe itchy bug bites, you can also aid in reducing the inflammation. Bug bites can itch pretty severely and if you end up scratching the wound open, it can quickly lead to an infection. Avoid itching by using aloe vera gel for bug bites as quickly as you notice them. It’s one of the easiest natural mosquito bite treatments around. You can also repel mosquitoes naturally and grow these easy to care for plants that repel mosquitoes to try to avoid the bites entirely. Aloe vera is also great for other skin conditions like poison ivy exposure or even minor eczema and psoriasis. Mix these three ingredients together and wash your face with this easy face cleanser. This face wash can help with brightening dull skin and aid in removing excess oil from your face. Does aloe vera moisturize skin? Yes. This is why it’s great for removing makeup and cleansing as it won’t dry out your skin. It may not be enough to moisturize your face entirely so a separate moisturizer may be needed, especially if you have dry skin. Should I apply aloe vera to oily skin? Yes. In addition to absorbing excess oil, aloe vera will also moisture your skin and reduce inflammation. Apply a thin layer of aloe vera gel on your face 2x a day with your hands. Use in conjunction with tea tree oil for aiding your oily skin. Does aloe vera help in reducing dark spots on the face? Aloe vera can aid in reducing dark spots and imperfections. Pair it with lemon juice, honey or vitamin E for even more success.